Purchasing real estate in Tucson, Arizona can be fairly simple for Canadian buyers in the market right now. The current value of the U.S. dollar compared to many foreign currencies makes it the perfect time to purchase a piece of real estate at a relatively inexpensive price compared to several years ago. 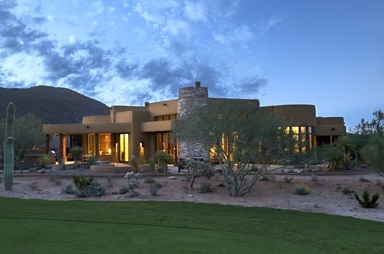 These are just a few reasons why interest in Tucson real estate properties is rapidly growing. Canadians can purchase a beautiful property in Tucson in one of two ways; they can obtain a home loan or pay cash for the property. In order to qualify for a loan, one would simply need to speak to a US mortgage broker who specializes in Foreign National Loans. A typical borrower puts down about 30% on the home that they are purchasing. One thing to note is that mortgage rates are generally 1-2% higher for foreign nationals so sometimes it makes more sense to obtain a second loan against your first home in Canada and then purchase your Tucson real estate in cash. One great bonus of property ownership in the US for foreigners is that you can have the same ownership of your property as a US citizen – this is to say, you own the property wholly and fully with no special regulations or foreign taxes. Some countries restrict foreigners from purchasing real estate in certain areas or only allow special kinds of ownership. In the US you don’t have to worry about this since all areas are available to foreigners. Another highlight of Tucson, Arizona is real estate taxes are very low when compared to other parts of the world. These taxes are determined by the government, both local and state, and help support local public schools, roads and other government expenses. Tucson and Oro Valley are under the jurisdiction of Pima County which sets the annual tax rate. If you are interested in figuring out what your annual tax bill would be for your Tucson home, multiply the sale price by 1.25% (.0125). For example, if you bought a home for $400,000 you would multiply 400,000 x .0125 = $5,000. This means that you can expect to pay about $5,000 per year in taxes for your home. Other than the annual tax, there are no other taxes collected on the property. Title insurance and home insurance are the last two items you will need to be familiar with in order to successfully purchase a piece of Tucson real estate. Title insurance essentially protects your title if your property ever has a claim against it (someone else claiming ownership). Homeowners insurance protects your home against fires, natural disasters, and theft. Policies vary depending on home size and items being insured, but it well worth the money in the long run. If you are in the market and looking to purchase a Tucson home, The Residences at The Ritz-Carlton, Dove Mountain offer all the luxury amenities expected of The Ritz-Carlton resorts. Plus, you can custom design your own home to fit your lifestyle. Additionally, Dove Mountain is home to spectacular nature, wildlife, hiking and biking trails, and of course, Arizona’s world-famous desert sunsets. For more information about The Residences at The Ritz-Carlton, Dove Mountain and all your Tucson real estate options, contact us or call 877-451-7205.